When it comes to our precious little ones, We as parents do not wish to compromise on anything. Food is an area of biggest concern. This Indian diet plan for toddlers (1 to 3 years of age) will help you in decoding most of the questions that might cloud your mind and hearts. What food to feed? How much food to give at one time? When to stop? How to be sure that your kid is not allergic to the food you are giving him ? and more such questions that cross your mind will all be answered below in this article about Indian diet plan for toddlers. “Bablu makes a bad face and takes his face away when I try to push a lump of rice down his throat”. “Pinky makes me run around the house at meal times”. “Tabbu picks up foods from his plate and throws it on me”. “Guddi is not growing well and she appears quite thin and weak compared to girls of her age”. “I wish my baby could put on a little more weight by now”. These are the complaints that we hear from most Indian moms. We often forget that toddlers do not have that much of consciousness to think “healthy” and all that they need is variety. Give your toddler variety in terms of colors, shape, size, and taste and he/ she will make mealtimes enjoyable for both you and him/her. When your child turns 1, you can give him anything except spicy, salty, and deep-fried foods. And secondly, you need to remember that your toddler needs little amounts of a variety of “interesting” foods to be given to him at various times of the day. So it is not a good idea to stuff him/her with food as a one-time option. When it comes to Kids, you should not follow the 3 meal pattern like us adults. He/she is most likely to reject this option and stay hungry. A toddler has very little stomach capacity and he/ she cannot take 3 big meals a day. He/ she will typically need 6 small meals a day to fulfill his/ her body’s energy requirements. The best part about feeding your kid frequently is that you don’t need to worry much about his quantity of intake. Even if the kid eats 3-4 biscuits, he will be good for the next 1-2 hours… A little effort from your side will help him/her stay satiated and disturb you less during meal times. 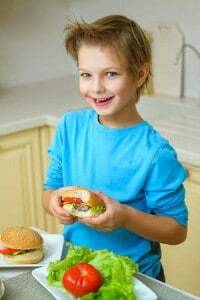 Kids who are fed at small intervals are not only healthy but are also less irritable and less cranky in comparison to the kids who are fed with more time gaps. We know that planning a menu for these little brats is difficult. Especially when they are to be fed with a time interval of every 2-3 hours and they demand variety. Here we present an interesting Indian diet plan for toddlers that will help you become a smart mommy instantly. But before we move on to the actual diet plan, here are some basic thumb rules you need to understand as a mother. The basic rules of food planning. Which foods to select and on what basis. After all its about meeting your toddler’s nutritional need to make him physically and mentally strong and compatible with the world outside. In the above-given chart, the outer 6 boxes represent the different food groups. This chart will help you in planning your own menu based on your convenience and timing for your baby. follow the following tips for planning a healthy menu for your toddler. The trick is to simply add at least 1 item from each group throughout the day. Of course, you can use a particular group more than 2 times too. However, in order to maintain variety in terms of taste and nutrition, its important to plan from each group. Ex – you can plan for rice in the afternoon and oats in the evening menu. both the items belong to the cereal group and are equally healthy. Make your choices of food from the given food group more interesting for the kid. Ex – instead of feeding your baby with rice and milk every day, introduce variety. Plan for rice and curd, or lightly lemon flavored rice, mix rice with mung dal from pulses group to add protein and variety to your kid’s menu. After your kid turns 15 – 16 months old, you can mix up 2 or more food groups together. Ex – Oats porridge with apple. Here Oats cover the cereal group, Milk will cover up for protein and apple will cover the fruits group. some kids with good digestibility can tolerate the mixed groups’ concept right from 12 months onwards. This group includes cereals like Rawa (semolina), Ragi, Rice, Oats, wheat and its products like brown bread, wheat-based biscuits. These cereals are easy to digest. Initially, its best to grind the food product, or mash it well to avoid choking. some kids take time to learn to chew. As the name suggests this group includes all varieties with milk. Cows milk has the best digestibility. Hence it is preferable to give you kids cow’s milk. You can later introduce him with milk products like cheese, curd, buttermilk, and paneer. Cheese on brown bread is a good snacking option for your 2+ years old toddler. They relish it. This group includes chicken, eggs, and fish. I would really recommend you to start your kid a little late with fish. Maybe after he is 2 +. This will ensure his digestion capacity. It is not that kids do not eat fish before this age. There are individual differences and food preferences. All you need to do is ensure about your kids’ digestion capacity and allergic reactions to these foods. The fruits and vegetables that are mentioned under the groups in the above infographic diagram, can be used in any form. you can mash the fruits, make juice out of it, pressure cook the fruit for 1 whistle and then mash it (apple). or you can hand over them as slices to your kids. So they also learn to eat on their own. you can use vegetables in soup forms or cooked vegetable form, just the way you consume it at home. make sure you add little or no spices to the preparation. You can introduce the spices and masala for the baby after she is 2.5 + years of age. This group is placed in the center on purpose. 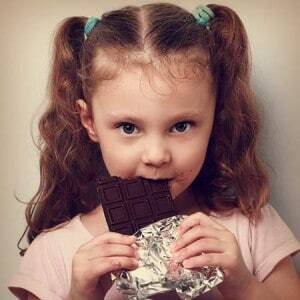 although you need to use a very little amount of fats and sugar for your toddler, please do not ignore this group. Your baby really needs good fats for better digestion. don’t forget that these little ones also require tasty foods just like us. you can add sugar or jaggery to their food preparations. You need to feed your growing toddler every 2- 3 hrs, don’t wait for them to signal for hunger. Kids get really cranky and irritated if they go without food for long. To become a smart mom, you need to set your timetable accordingly. Keep your busiest hours for their milk feeds. But do not overdo Milk. Excess milk feeds and no solid will make her/him hate food. They may also get loose motions, uncontrolled bladder. They would become cranky if you don’t give them enough solids. And the kid will want to stick to you at all times. Here is an Indian Diet plan for toddlers for your reference. The above-mentioned diet plan is a general diet plan. This Indian diet plan for toddlers meets the nutritional requirement of an average Indian toddler. some foods may or may not be suitable to some kids, in such a case a personalized approach is necessary. A toddler’s daily water intake may typically consist of at least 5 glasses of water. This includes the juices, milk, and other fluids that your toddler consumes throughout the day. Make sure you give your toddler wholewheat or brown bread or bread that is fortified with vitamins and minerals. Today’s nuclear family setups coupled with an increase in the opportunities for women employment, time has become a scarce resource for today’s families. It is always better to avoid tinned and packaged foods as they contain preservatives that may be detrimental to your child’s health. Make sure you invest some time to secure your child’s health and prepare meals at home. We are sure that love will help you find that time! It is a good idea to help your child build healthy eating habits at a very young age. You may introduce oatmeal cereals at a very early stage as they are healthy breakfast options and your child is most likely to develop an acceptance for oatmeal cereals as well as other complex carbohydrates. 1 tablespoon of each food: The Rule of Thumb. At one time, a one-year-old child should be fed 1 tbsp of cooked cereal, pureed fruit, pureed cereal, cooked meat, cooked vegetable, one egg and a ½ cup of milk and dairy products. On a similar line, a 2-year old child should be given 2 tablespoons of different foods at a time. And as you can already guess, 3 tablespoons of different foods at a time constitute the perfect dietary portions for a 3-year old child. • 2-4 ounces of pure fruit juice, with one part juice being mixed with two parts of water. • Tart with pureed or strained vegetables such as green beans, squash, or carrots. You can find some amazing recipes for your kid’s meal here at our Healthy recipe section. • Making your child drink more than 16-24 ounces of milk per day. • Forcing them to eat when they are not hungry. Don’t get into a habit of worrying about your kid’s food. The only thing that you should observe is whether your child is gaining weight with time and whether he is remaining active throughout the day. Too much of restrictions in his/ her diet or too much of ‘çarefree’ attitude may actually harm your child’s health. Refer to this Indian diet plan for toddlers and enjoy your child’s meal times, be a little creative and allow him to enjoy his/ her creative side as well. Who knows? Your child may grow up to suggest your meal plans one day! i understand your concern .. this is a part of developmental phase .. every kid goes in this phase at least once evry year .. where they get moody about food . but this is temporary and will correct in 15 days .. so dont worry .. as long as he is active you dont need to worry ..
also try changing the type of food he is having .. like , its summer , so instead of giving plain hot milk , give him a milkshake . Hi mam my son is 2.7 months his weight is not increasing , he is very thin but he is active but he refuse to eat and drink milk plz help out. if he is active its ok …. 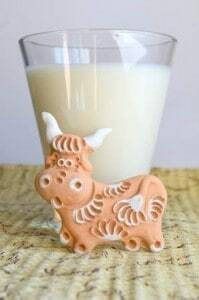 try to give him milk in different forms , like milk shakes , smoothies … if he still doesnt take that , give him cheese , paneer , curd , these are equally good in protein . if all this fails ,you can add pedia sure or any other protein supplement to his foods in different form . My daughter is 2.6 years old and her weight is 11.5 kg. She is not eating solid food properly. She is all dependent on milk. She has cough and cold problem also. She is active but not gaining weight. Plz help me how I give her food that help her in weight gain. see , dont worry , many kids refuse to eat solids , but we can always feed them with liquid varieties , to make sure that nutrition is apt . so , you can give her 3 times milk , 2 times fruits / fruit juices . 2 times vegetables in the form of soup . if she does not eat chapati , make rawa or ragi kheer / salty pej for her depending upon her tastes . you can also make soft halwas and feed her . encourage her on eating small portions , finger foods on her own . you can give her daliya porridge , sago porridge , ragi porridge , if she likes cakes , bake a whole wheat flour cake with less sugar , so basically you change the form of food , but ensure that she is taking adequate nutrition . my son turned 3 last week. his weight is 14 kgs. but he very fussy and refuse to eat or drink anything. he doesnt want to eat chocolates or ice cream also. we struggle daily to get him to eat food. but he eats very little food only 1 time a day. he drinks milk 3 times, that also only if he wants. he is very active and always running around, jumping..
recently we started sending him to nursery, since then he is suffering from some or other infection each week..
what can i do to increase his appetite, increase his immunity..
how can i make him eat food..
Hi Urvisha , this luks like an extreme case . have you checked with his pediatrician ? have they recommended any tonic ? or syrups to increase his hunger ? Normally if the child is active , we say that he is getting enough nutrition . but at the age of 3 , if he refuses to eat any food , then there can be some other issues too. please check with a pediatrician , and let me know , so i can help you accordingly . Hi Ashi , does he have any physical issue ? have you checked with the paediatrician ? 🙂 thank youf for reading at dietburrp . Your comment has made our day !! if his growth is not apt , it will be better if you consult his paediatrician and ihim supplements . 9 kg. Nw her weight is almost stable. Is it nrml? if she is meeting all her milestones in time and is active and cheerful , then there is nothing to worry . Kids this young require deworming from time to time .. when was the last time you gave her deworming ? ‌hi mam..my son is 2.3 yrs old. Whenever I give cow milk to him not immediately but after some days he has loose motion. Dr prescribed to stop feeding milk. Is this a sign of lactic intolerance? Can I give him pediasure or enfragrow instead of cow milk? Does he have a similar response to curd / paneer ? has the doctor diagnosed him as lactose intolerant ? if yes , then you need to use lactose free supplements .. enfragrow has lactose free suppliment. Thnk you for reading at Dietburrp. The food sources of Vit D are mainly , milk and products like cheese , egg yolk, fortified oils , and foods , and sea foods . apart from that , if you give him a sun bath of 20 mins , early morning around 8 am … he will have good Vit D…. also if the deficiency is severe , the doctors give powders that you can mix in his milk or other food .. giving that is the most effective way . If he is active and reaching his growth milestones in time , then dont stress so much over his weight . just make sure you feed him quality food that fulfills his nutritional needs despite the quantity of food . ensure enough protein in his diet . if yoyu feel his appetite is too little , then you can speak with your pediatrician and add a protein supplement to his food. give him eggs, almonds , cashew and walnuts in various forms like cookies , cakes , milk shakes . he will like it and get enough nutrition as well. Hello Doctor , I need ur advice for my 2.5 year old son. He likes to eat mostly puréed food like rava kheer , hand mashed dal rice basically very soft food. Even chapati also I need to completely soak it n then mash with hand n feed him. Plz suggest me how to make him interested in chewing food n start eating by himself? Some food he likes to eat by himself like sweet curd or ice cream but if I give pasta,small chunk of carrot , apple slice or small pieces of dosa either he doesn’t eat or takes more than one hour just to finish half dosa .. m clueless what to give him. He also takes breastfeed while sleeping but its just to soothe him for 5 To 10 mins. Pls suggest. I can understand your worry , but trust me , some kids pick up eating a little slower than other kids . the form of food doesnt really matter . even if he has semisolids and soft foods , till the time he is active and meets growth milestones in time , there is nothing to worry .. he will learn eating on his own when he starts schooling , o if you have any other elder kid at home , serve them food together. he will leran to chew and eat on his own when he sees other kids do that . Its ok , take it easy with him. he will learn with examples . Hello mam. My baby is 22 months old .and her weight is 13 kg .all off sudden from last 3days she is not eating food in any form only milk she is taking.i m very worried pl help me out.rest every thing is ok.
dont worry , kids sometimes undergo such episodes of food aversion during growth spurts. they feel hungry , but moody and hence avid foods … as long as she is active you dont need to worry , let her take the change , try giving other liquids like vegetable soups , fruit juices , or make her some milk shakes and smoothies … if you force her to eat chances are that she will want to go without food for even longer .. so take it easy and keep calm . dont worry unless you notice any drop in weight or activity or sleep disturbance. Hi. My baby didn’t eat proper food. Even he don’t drink milk. He is 33 month old and his weight just 11 kg. So I m so much worried. Plz suggest some gud diet plan. The above mentioned plan is very good . try to use that with him. Give her every thing from above . just replace her milk and milk products with almond milk or soy milk and paneer with tofu and eliminate curd if she cannot tolerate curd too. Is she formally diagnosed for lactose intolerance ? My daughter is 2yeras old her weight is 9.5kg .she wighet is not increase . does she eat well ? is she active ? Thanks for this meal plan. It’s really very helpful. My son is 2.3 year. He is all active and wt. 11.30 kg. He is suffering from heavy cough . Recently doctor has diagnosed him with pneumonia. However we are not giving him ice cream, biscuits, or Chocolate. My question is we are not giving him any thing that increase cough in his body but still cough occured. 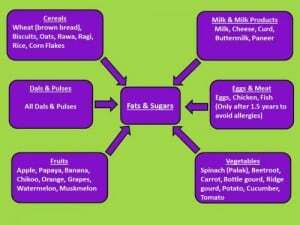 Kindly suggest me proper food chart for my son. Or any natural way to reduce cough. He is on medication for cough fever and dehydration since last 6 to 8 months. why have you limited the water intake to 16-24 ounces ? No No , there is some confusion, what I meant was minimum of 5 glasses of water intake is required. Anjana here, my girl is 2.6 years old and her weight is 13.2 kg. My question is only that that u suggest 6 small meals for kids, but my kid doesn’t prefer that if i feed her in frequency than next meal definitely ruin. She wakes up late in the morning like 9 to 10 am than having 150 ml milk, after an hr or late i give her any fruit. Than between 1 to 2 pm having lunch, quite good amount of lunch like 1 roti, 1bowl veggies, 1bowl tomato, small amount of rice n 250 ml butter milk .. than afternoon milk n dinner… So is it ok that she has less habbit of snaking??? Every child is different, and if her growth milestones are reached in time, and she is active, then this is no problem. don’t worry.